Wild West or limp at best? 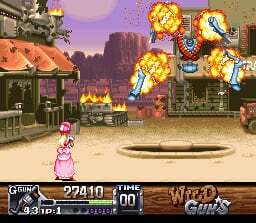 Blast your way through villainous outlaws, diabolical robots and towering, screen-filling bosses either by yourself or with a friend at your side in the Super NES classic, Wild Guns. You’ll need a sharp eye and quick-on-the-draw reflexes, but fortunately, you’ve got plenty of moves to help you survive the hail of bullets heading your way. 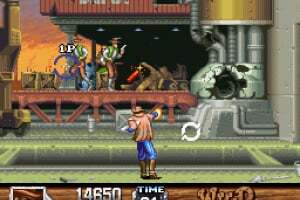 You can dive-roll, jump, double jump, rope enemies with a lasso and clear the screen with explosive special attacks. 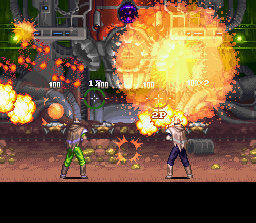 Blast apart just about everything in the environment to find guns, bombs and other hidden power-ups. It’s up to you to bring justice back to town – or whatever’s left of it when the smoke clears. This game begs a remake on Wii. Ah cool, nice to see this getting a VC release. I played it before and it was pretty fun. I should try this game someday. 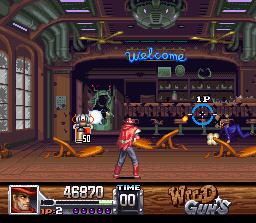 Wild Guns is coming out sometime? HOT DAMN! |sf>I've never seen or heard of this before, but the video really makes this appear to be a neat gem. 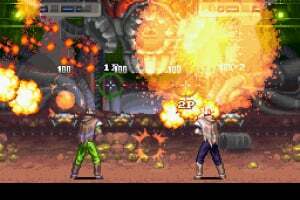 Good game, but not as good as Blood Bros. in the arcade. would be great if you could point and shoot with the wii remote. too bad the VC doesn't work like that. Wait! What?! It is?! I thought this was just added to the website for reference purposes! Yes it has been ESRB rated. Didn't the ESRB also rate Earthbound? Yeah, but, EarthBound then got removed from the ESRB rating. I should try to find a copy (from eBay). @BlueFlameBat: Any old games we add for reference or a retro review go under the retro section, not VC. 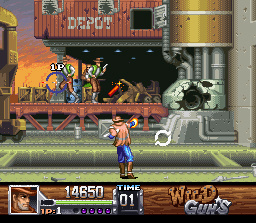 I wonder how the control of this game will be like on an SNES controller? Actually, EarthBound is still rated. There's just very little chance of it being released. Thank goodness the classic controller has analog sticks. 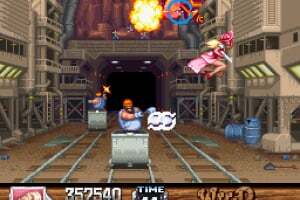 Now all I need is that Nam game for Neo Geo. 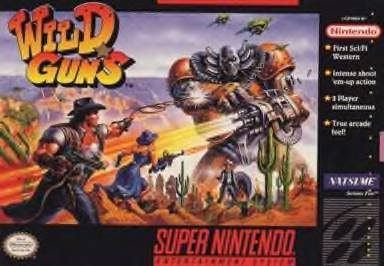 I'm still curious as to how it plays on the SNES controller? 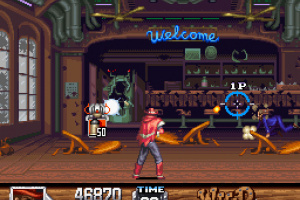 Do you use the Control Pad to both move the cursor and your gun-toting person? Please reply. Control pad moves cursor and character. Y to shoot, B to jump and X for bomb. Controls are very good actually as the stages are pretty static (only a tiny bit of scroll). OMG I can't wait for this to come out. 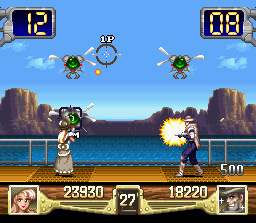 The d-pad usually moves both the character and the cross-hair, but when you hold the shoot button down, your character remains stationary and the d-pad moves only the cross-hair. 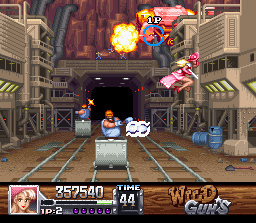 You can dodge enemy fire while holding the shoot button by pressing the jump button while holding left or right. And yes, you are firing rapidly while holding the shoot button. 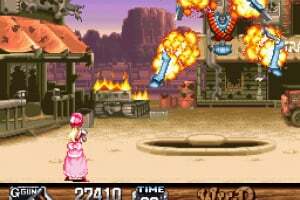 What I want for a Wii remake is to move the character with the nunchuk's control stick, move the cross-hair with the Wii remote, shoot with the B trigger, jump with the A button, bomb with either C or Z on the nunchuk, and quick-dodge enemy fire by shaking the nunchuk left or right. How would that sound to you? I'd also want controller options because I'm not selfish and I know there are people out there who prefer firing using the A button for whatever reason. This game is pretty damn awesome. I fairly enjoyed it. I just tried it. Still figuring out the controls and all. 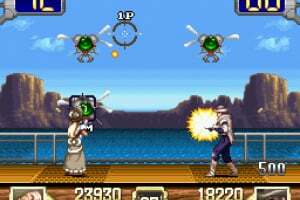 What's fun is you can use different color schemes for the characters as player 1 OR 2. Personally, I find this kinda better than Sunset Riders. 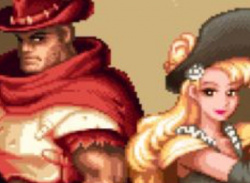 Hey Charco have you ever played Cabal for Nes? it's just like blood bros but better!!! im going to have to get this game soon. This seems like a fun, semi-contra based game. Just bought it..... fantastic game! Why I waited so long to get it!